Find it HERE! 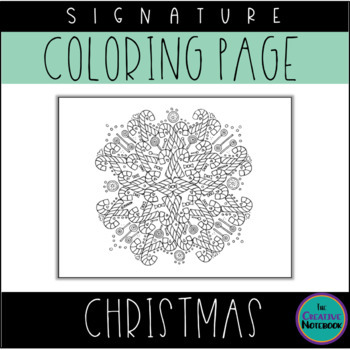 CHRISTMAS Coloring Pages Bundle! This Christmas coloring page is a fun way to celebrate the holiday season in your classroom. This page can also be used as an end-of-December class activity, part of a holiday or seasonal unit, for concentration, for brain breaks, after tests, or for stress relief purposes. Decorate your classroom with the completed pages if you'd like, or allow the students to keep them in their binders or lockers.